Rafael Benitez admits he is "not too close" to resolving his future with Newcastle, despite holding talks with the club. Benitez revealed in his press conference on Friday that he is "waiting for an answer" over his future at the club, with his contract due to expire at the end of the season. But Benitez played down hopes that they were close to a resolution after the 1-0 defeat by Crystal Palace on Saturday. 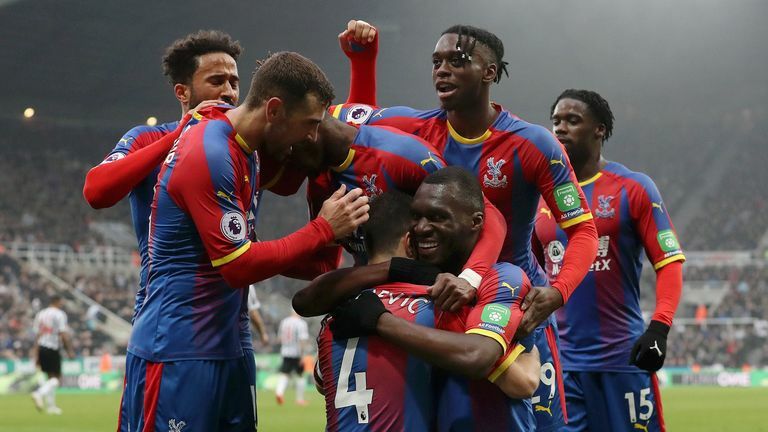 Luka Milivojevic's late penalty against the run of play would not have helped Benitez's mood, with Newcastle still not safe in the Premier League. He told Sky Sports: "I said [in Friday's press conference] there were conversations, that's it. Normally when you have negotiate you have to talk, and then have to see whether we are close or not. At the moment we are not too close." While Benitez has never expressed a desire to leave the club, no new deal is yet in place. 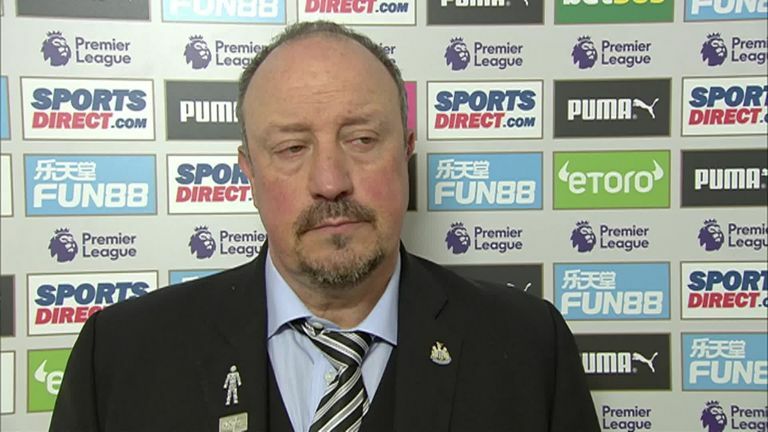 The defeat on Saturday leaves Newcastle on 35 points with five games remaining, and Benitez has previously said his side will need 38 points to secure safety, although he upped that target to 40 this week. The Spaniard was dismayed by Saturday's defeat, with Newcastle dominating large periods of the game. "You cannot believe you have lost. Not even drawn, but lost. With the chances that we've had with the control of the game we had. Yes, we know they are dangerous on counter, but we made too many mistakes in the last minutes. "We had enough chances to win the game, but for sure not to lose the game. "These kind of games leave you very disappointed but we have to carry on. Every game is a final, I've said so many times. We have seven points but still we must think what we can do to get more." Newcastle now go to Leicester on Friday Night Football, live on Sky Sports Premier League from 7pm; Kick-off is at 8pm.